There are dozens of reasons why you would need to procure a stylish ride. From weddings to extravagant nights on the town, the stretch limo has solidified its place as the mark of a special occasion. The next time you and your girls are out perusing the town, either celebrating ones last night of relationship freedom or just simply bar hopping, you should make sure your ride is none other than a stretch limousine. 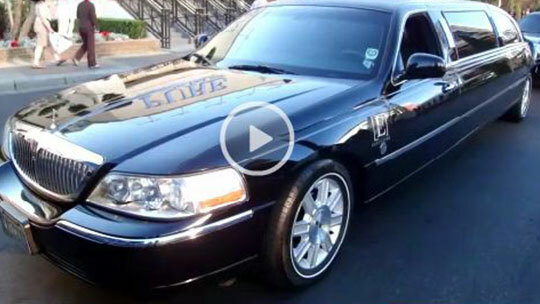 The biggest benefit to a stretch limousine is the overall package that comes with the rental. Not only do you get the luxury curbside pick-up and drop-off and the ability for you and five other friends to be driven to wherever you'd like to go, you have full control of just about everything within the vehicle. From the string of neon lights that line the ceiling and floor to the booming surround system, one little control panel puts you in charge of your little mobile world. To create that perfect party atmosphere, the stretch limo comes equipped with an on-board surround sound system with attached CD / DVD player and MP3 dock. Not only does this set-up allow for some grooving on the go, it allows for a personalization of the on-board tunes so you're not stuck listening to radio commercials for half the ride. A mini-bar tops off the stretch limo's amenities and typically comes equipped with bottles of water, cans of soda, and chilled champagne. Booked a stretch limo last june for my stag party, we were only 5 guys so it worked out perfect, the driver was fun.